Responsive Feeding & "Picky Eating"
Parents receive conflicting messages about feeding. We’re told that getting the right nutrients is incredibly important to our child’s health and wellbeing. Then, we’re told that we should simply offer our kids food and let them decide whether and how much to eat. So, how do we follow both sets of advice? The fact is, nutrition is the result of a trusting feeding relationship, and if you can learn to appreciate your kiddo’s presentation and respond to their cues, you can achieve a stress-free mealtime. 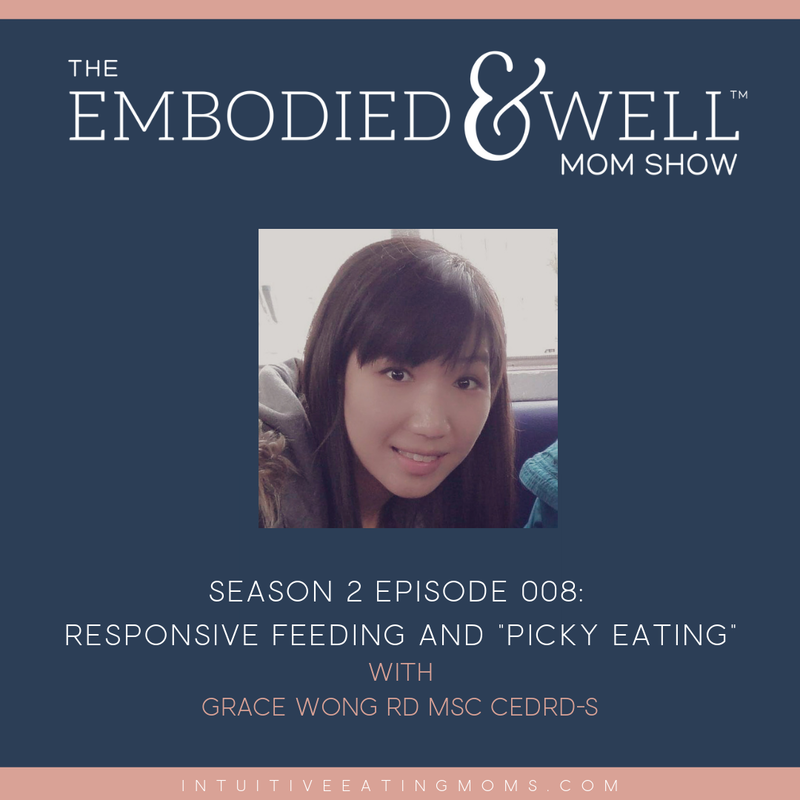 Grace Wong is a certified eating disorder registered dietitian with 15 years of clinical experience in mental health and pediatric nutrition. Grace works with a diverse presentation of feeding and eating disorders and supports children with co-existing conditions like ADHD, autism, sensory processing challenges, anxiety, depression, addiction and trauma. She is committed to helping clients uncover their family feeding history and establish a comfortable environment at mealtime. Grace’s practice is based in Calgary, and she does online coaching through her Facebook business page. Today, Grace joins us to explain how she supports parents whose kids have complex feeding presentations. She discusses the concept of food acceptance, sharing her aim to get children to a place where variety is not disruptive and her approach to establishing a peaceful mealtime. Listen in for Grace’s insight on the challenges of parenting neuro-diverse kiddos and learn how to appreciate your child’s feeding presentation and build a trusting feeding relationship!